If the high pixel density of the Kindle Voyage e-reader tempted you, but the $200 price tag was holding you back, now you can get the same 300ppi density at $120 with the 2015 edition of the Kindle Paperwhite. That’s a decent jump from what you got with previous Paperwhites (212ppi). 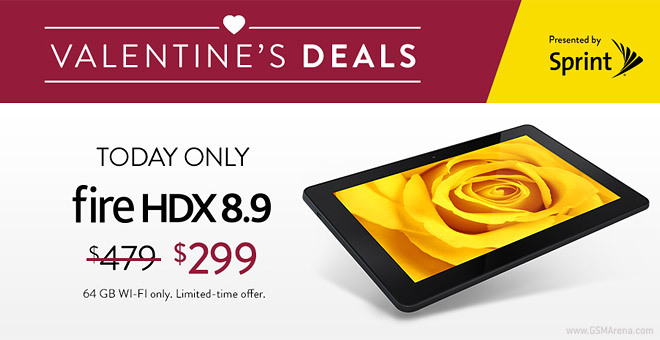 Amazon, being the symbol of consumerism that it is, has some strange ideas of what constitutes an appropriate – never mind good – gift for Valentine’s Day. Honey, I got you some Kindle tablets and e-readers, they were on sale! 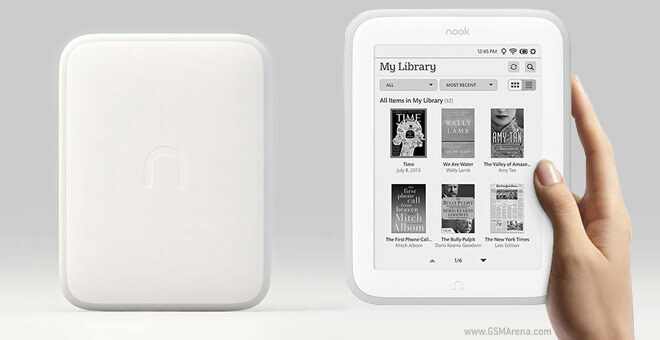 Barnes & Noble has discounted the Nook Glowlight eBook reader by £20 for one week only during the Christmas holidays. Starting tomorrow, December 19, you’ll be able to purchase the Nook Glowlight for £69. Kindle Unlimited was unveiled back in July, but only now it’s become available in the UK as well. In the meantime, it looks like Amazon added around 50,000 more books to the Unlimited roster. Amazon has announced two new models of its popular e-reader, an updated version of their standard Kindle, now with a touchscreen, and a brand new Kindle Voyage. 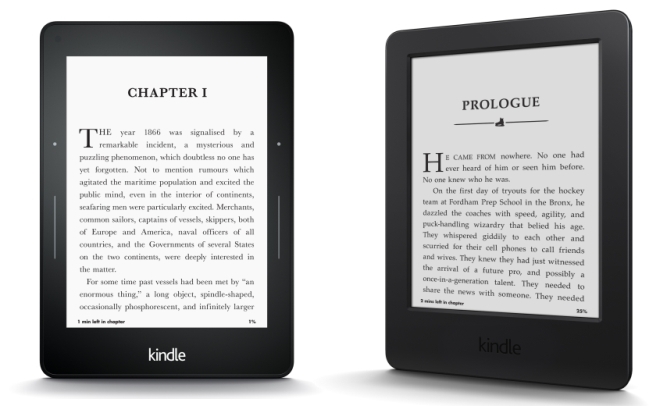 Amazon is apparently hard at work on its next Kindle e-readers. 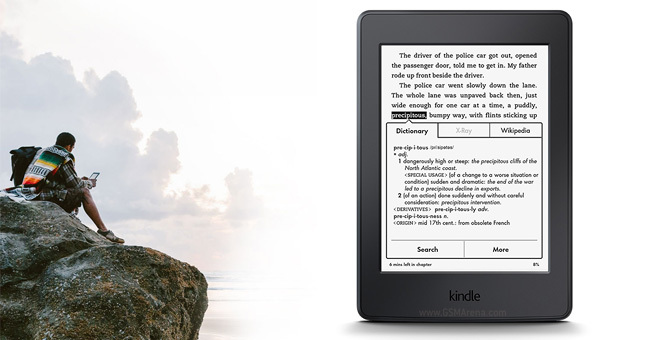 The Kindle Voyage was erroneously listed for a short while by the company in Germany and Japan, and what you see below is purported to be an image of the device taken straight from its user manual. Waterproof smartphones are cool but what about a waterproof ebook reader? 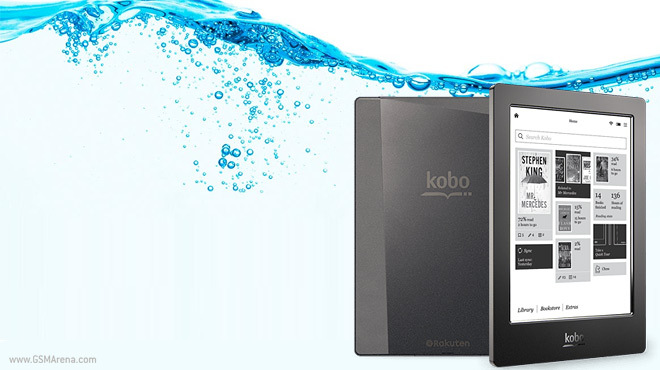 If reading by the pool or at the beach is your thing the Kobo Aura H2O is the one to look at. It’s the first ebook reader with IP67 certification meaning it’s dust tight and can last up to half an hour under a meter of water. 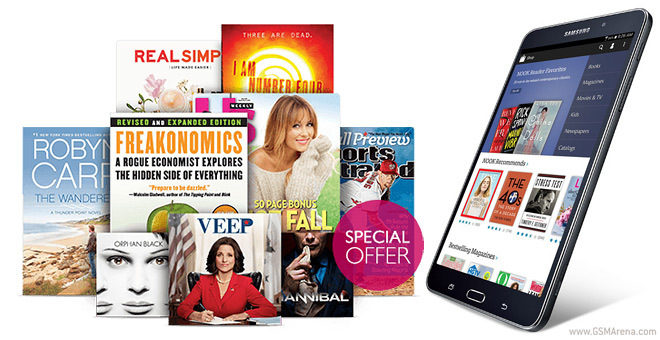 The Samsung Galaxy Tab 4 Nook, the ebook-focused tablet by Samsung and Barnes & Noble, is available in the US today at $180 (after a $20 instant rebate). That’s the same price as the pure-Samsung Galaxy Tab 4 7.0 but Barnes & Noble claims it is throwing in $200 worth of content. Samsung and Barnes & Noble announced the Galaxy Tab 4 Nook early this month – a 7″ Android tablet based on Samsung’s Tab 4 devices but powered by B&N software. A week ago the two companies sent out invites for the big event on August 20. 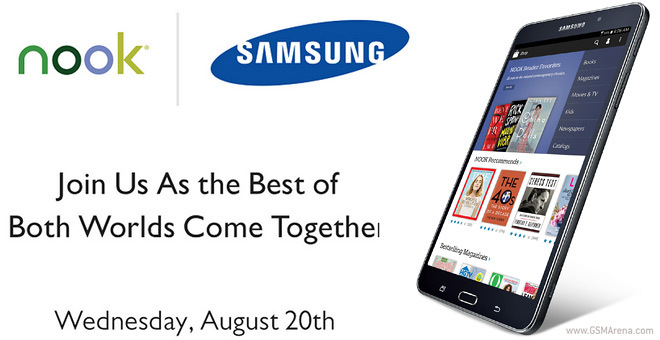 Samsung and Barnes & Noble announced a partnership that should have come to fruition in early August. 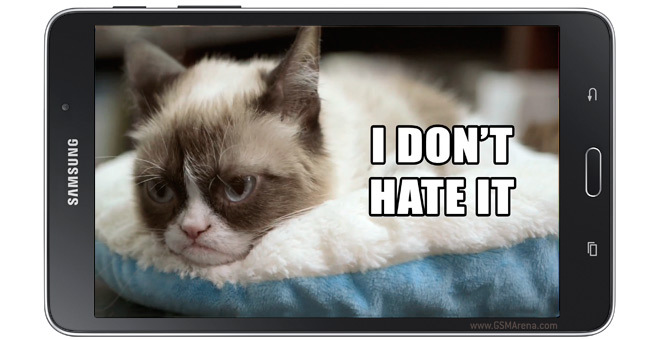 However, it’s early August already and the Galaxy Tab 4 Nook is nowhere to be seen. A press invite for August 20 means things will finally get a move on later this month. Barnes & Noble just unveiled its latest eBook reader. The Nook GlowLight brings a better display and is available now in the US and UK for $119 and £89 respectively. The device builds on the Simple Touch with GlowLight with a sharper screen and more even illumination. Amazon has made a new service official today. It’s called Kindle Unlimited and it provides all-you-can-read access to 600,000 books in the retailer’s portfolio, and it also lets you listen to thousands of audiobooks. 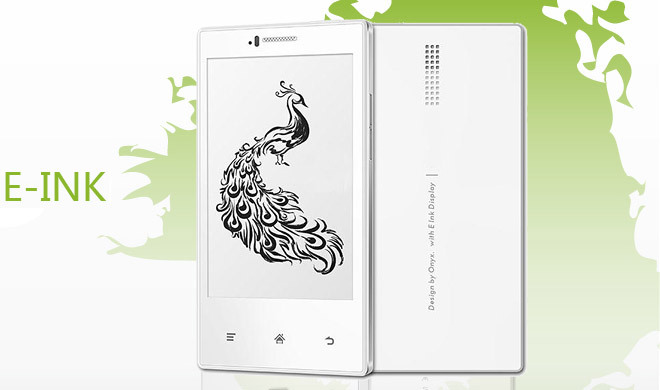 Polish tech distributor Arta Tech will be selling a phone with an e-Ink screen in Europe soon called Midia InkPhone. The handset promises comfortable reading and two weeks of battery life thanks to the energy-efficient screen and 1,800mAh battery. 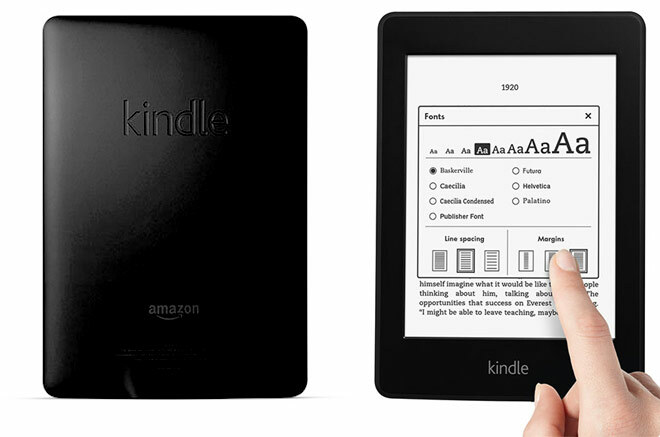 The next generation of Amazon Kindle Paperwhite e-Book reader is going to feature a 300ppi screen and a lighter shell, insider sources claim. 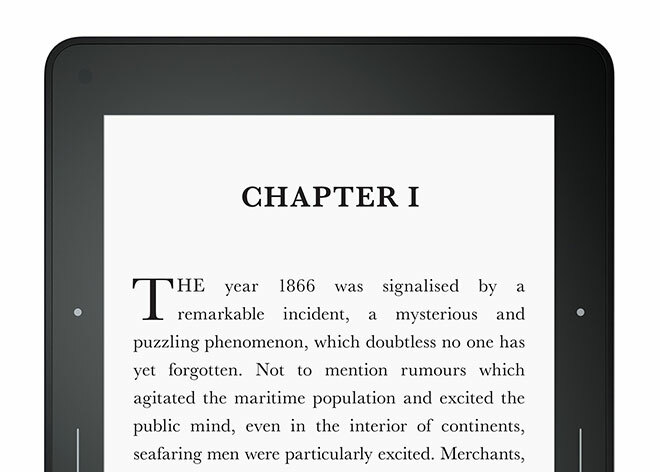 The higher pixel density display of the next Kindle Paperwhite is also going to be complemented by enhanced typography.